Get the look of "The Big Bang Theory" actress & tennis player's unique, wintry celebration. Ring in your new life as Mr. and Mrs. while celebrating New Year's Eve like the magical wedding of Kaley Cuoco and Ryan Sweeting. Though the television star and professional tennis player split in 2015, take note from their celebration, which surprised guests with fire performers, stilt walkers, and an upside-down chandelier cake. 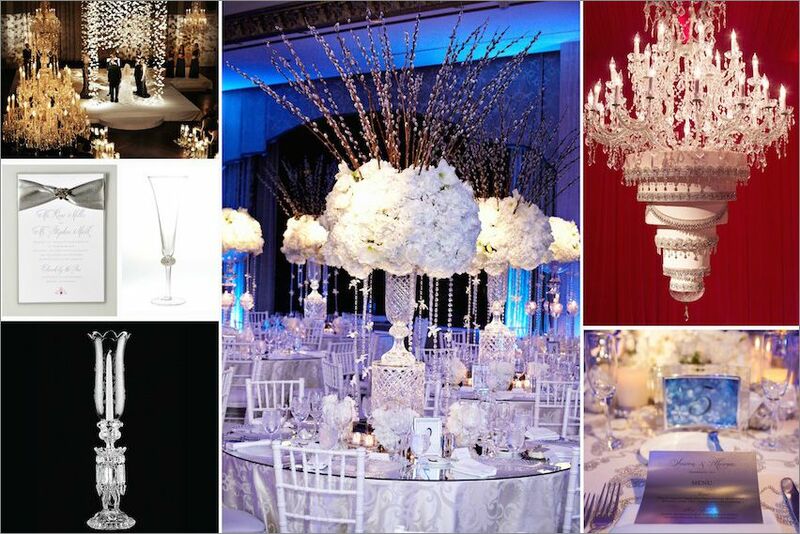 Incorporate crystal accents, white branches, and unique entertainment into the celebration for the event of a lifetime. Add chandeliers to your décor for a classic touch. Not only do chandeliers add romance and sparkle, but they serve as great statement pieces for your space. For a touch of bling, incorporate crystals into every aspect of your theme from the invitation, to the stemware, to the table setting. One of the hottest trends in wedding gowns is to wear pink instead of white. This still gives the bride a sweet and feminine look, yet is a fresh spin on the traditional white gown. 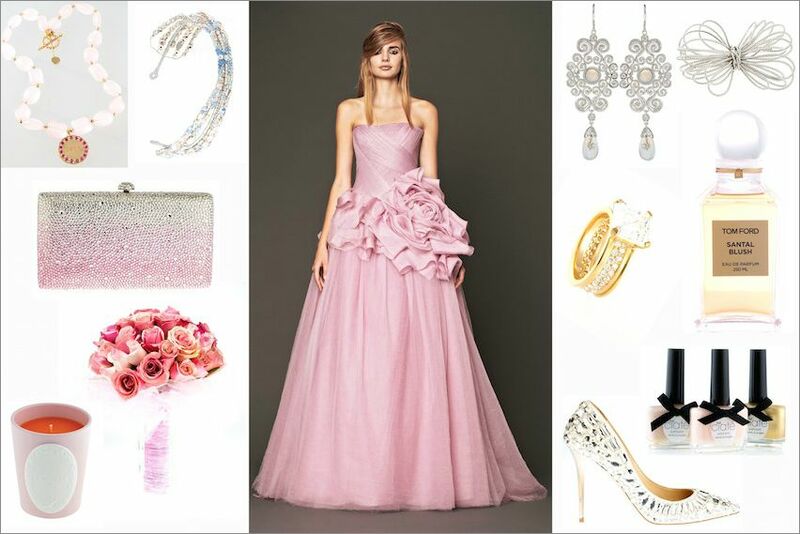 Accessorize your pink gown with a white, jeweled, or metallic shoe for a sophisticated, finished look. Have your florist use tulle, instead of ribbon, to tie your bouquet for a delicate, fanciful style. Pack your wedding clutch days before the big day to make sure everything fits and is checked off your list. Treat your 'maids to a jeweled sandal that will allow for dancing, but still looks great with a formal gown. Give your bridal party the jewelry you want them to wear at your wedding for a coordinated, glamorous look. 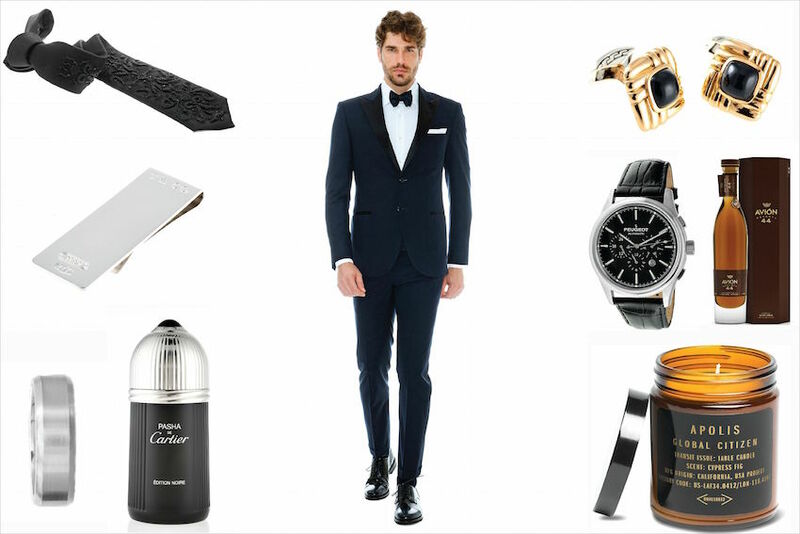 Lay out your groom's accessories for him to ensure everything coordinates nicely and creates a styled, timeless look.